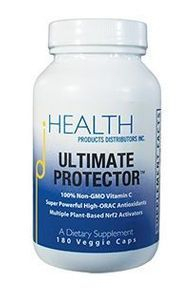 People who have Liver Problems report that their symptoms have decreased after taking an Nrf2 activator. Following the testimonials are current research articles that report new information about the cause of Liver Problems and how Nrf2 activators can be effective in treating them at the cellular level where they start. Contact-Dependent Depletion of Hydrogen Peroxide by Catalase Is a Novel Mechanism of Myeloid-Derived Suppressor Cell Induction Operating in Human Hepatic Stellate Cells. Myeloid-derived suppressor cells (MDSC) represent a unique cell population with distinct immunosuppressive properties that have been demonstrated to shape the outcome of malignant diseases. Recently, human hepatic stellate cells (HSC) have been reported to induce monocytic-MDSC from mature CD14+ monocytes in a contact-dependent manner. We now report a novel and unexpected mechanism by which CD14+HLADRlow/- suppressive cells are induced by catalase-mediated depletion of hydrogen peroxide (H2O2). Incubation of CD14+ monocytes with catalase led to a significant induction of functional MDSC compared with media alone, and H2O2 levels inversely correlated with MDSC frequency (r = -0.6555, p < 0.05). Catalase was detected in primary HSC and a stromal cell line, and addition of the competitive catalase inhibitor hydroxylamine resulted in a dose-dependent impairment of MDSC induction and concomitant increase of H2O2 levels. The NADPH-oxidase subunit gp91 was significantly increased in catalase-induced MDSC as determined by quantitative PCR outlining the importance of oxidative burst for the induction of MDSC. These findings represent a so far unrecognized link between immunosuppression by MDSC and metabolism. Moreover, this mechanism potentially explains how stromal cells can induce a favorable immunological microenvironment in the context of tissue oxidative stress such as occurs during cancer therapy. [INTERPRETATION: It was newly discovered that since Catalase reduces free radicals (H202), it helps the immune system to stop diseases, esp. in the liver]. Biomed Res Int. 2015;2015:359358. doi: 10.1155/2015/359358. Epub 2015 Jan 14. Evaluation of the Effectiveness of Piper cubeba Extract in the Amelioration of CCl4-Induced Liver Injuries and Oxidative Damage in the Rodent Model. Background. Liver diseases still represent a major health burden worldwide. Moreover, medicinal plants have gained popularity in the treatment of several diseases including liver. Thus, the present study was to evaluate the effectiveness of Piper cubeba fruits in the amelioration of CCl4-induced liver injuries and oxidative damage in the rodent model. Methods. Hepatoprotective activity was assessed using various biochemical parameters like SGOT, SGPT, γ-GGT, ALP, total bilirubin, LDH, and total protein. Meanwhile, in vivo antioxidant activities as LPO, NP-SH, and CAT were measured in rat liver as well as mRNA expression of cytokines such as TNFα, IL-6, and IL-10 and stress related genes iNOS and HO-1 were determined by RT-PCR. The extent of liver damage was also analyzed through histopathological observations. Results. Treatment with PCEE significantly and dose dependently prevented drug induced increase in serum levels of hepatic enzymes. Furthermore, PCEE significantly reduced the lipid peroxidation in the liver tissue and restored activities of defense antioxidant enzymes NP-SH and CAT towards normal levels. The administration of PCEE significantly downregulated the CCl4-induced proinflammatory cytokines TNFα and IL-6 mRNA expression in dose dependent manner, while it upregulated the IL-10 and induced hepatoprotective effect by downregulating mRNA expression of iNOS and HO-1 gene. Standardized extract of Vitex doniana Sweet stalls protein oxidation, lipid peroxidation and DNA fragmention in acetaminophen-induced hepatotoxicity. Vitex doniana fruits are locally used in Nigeria as a remedy in the treatment of jaundice and liver related disease. The effect of methanolic extract of Vitex doniana fruits on acetaminophen induced protein oxidation, lipid peroxidation and DNA fragmentation was investigated in mice. Antioxidant activity of the extract (0.2-1.0mg/mL) was investigated in vitro using 2,2-diphenyl-1-picrylhydrazyl (DPPH) radical, superoxide ion, hydrogen peroxide, hydroxyl radical and ferric ion reducing system. Vitex doniana extract at 1.0mg/mL scavenged DPPH, superoxide ion, hydrogen peroxide, and hydroxyl radical by 86%, 78%, 80% and 72% respectively, it also reduced ferric ion significantly. Hepatoprotective effect of Vitex doniana fruits was monitored in acetaminophen-induced hepatotoxicity in mice. Acetaminophen-mediated alterations in serum alkaline phosphatase, alanine aminotransferase, aspartate aminotransferase, albumin and total bilirubin levels in mice were significantly (P<0.05) attenuated by the extract. Similarly, acetaminophen-mediated decrease in activities of superoxide dismutase, catalase, glutathione peroxidase, glutathione reductase and glucose 6-phosphate dehydrogenase was significantly (P<0.05) attenuated in the liver of mice. Increased levels of conjugated dienes, lipid hydroperoxides, malondialdehyde, protein carbonyl and fragmented DNA were significantly (P<0.05) lowered by methanolic extract of Vitex doniana fruits. Overall, the results of this study show that Vitex doniana fruits possess antioxidant properties and halted acetaminophen-mediated oxidative rout on cellular proteins, lipids and DNA, made possible by β-sitosterol, platycodin D, apigenin, saikosaponin, chrysin and ellagitanin in the extract.